I am cheap, everyone knows it... but I am also thrifty and crafty. I purchased a shirt online the other day and paid $18.95 with shipping for a similar shirt seen above. 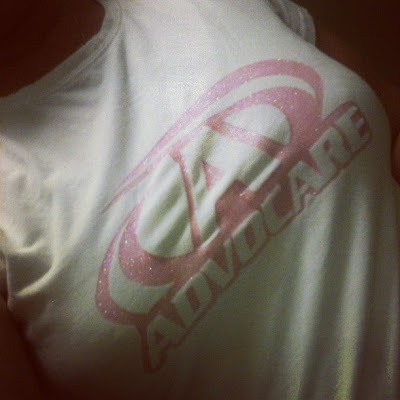 I am going to a conference this weekend called Ladies Alive for Advocare and I wanted a shirt! Honestly, I needed a shirt. So, I had this bright idea to try the freezer paper technique to make my own. I printed out the logo from our selection of logos that we can use for advertising, laid a piece of freezer paper on top matte side up and using an exacto knife, I cut out the design. I then ironed the freezer paper, including all the letters onto the shirt. I painted with fabric paint and immediately lifted the freezer paper off. I almost did a back flip in my kitchen! So, for the price of paint, freezer paper and shirts I already own I can make my own shirts. My son also got in on the action and created a few shirts. He wore one to school this morning! We have a new obsession. 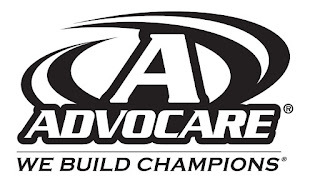 You can do this for your business, school, sports teams, etc... A friend of mine owns a Silhouette to cut designs and was super excited to see this. I might need to by a Silhouette. You are certainly thrifty (not cheap). Thanks for another great idea.